After Harry Kane had to leave the pitch with a painful ankle injury, manager Mauricio Pochettino revealed the worst possible news. Near the full hour of the match between Tottenham Hotspur and Manchester City in the Champions League last night, there was a key moment of the match in which Harry Kane suffered a tackle from Fabian Delph right in front of manager Mauricio Pochettino. 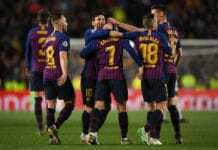 The Argentine coach immediately noticed that his player took the worst part of the challenge, as he quickly called on the medical staff and he headed directly to the dressing room without even going back to the pitch. This image of Kane being helped by two doctors without being able to put his foot on the floor, is arguably the most disappointing image of this whole week for Tottenham Hotspur’s fans and for Mauricio Pochettino as well. Without any official reports until proper tests are conducted on the striker first thing in the morning, the manager was questioned about the possibility of Harry Kane missing the next match and his reaction was worse than anybody believed. If the injury wasn’t serious, the Argentine manager would’ve spoken about having a little bit of hope with his striker but the ankle injury appears to be ligament-related. If this is the case, there is little to no hope at all that Kane has any chance of playing for the rest of the season. “It’s a worry for us,” said Pochettino via Four Four Two. 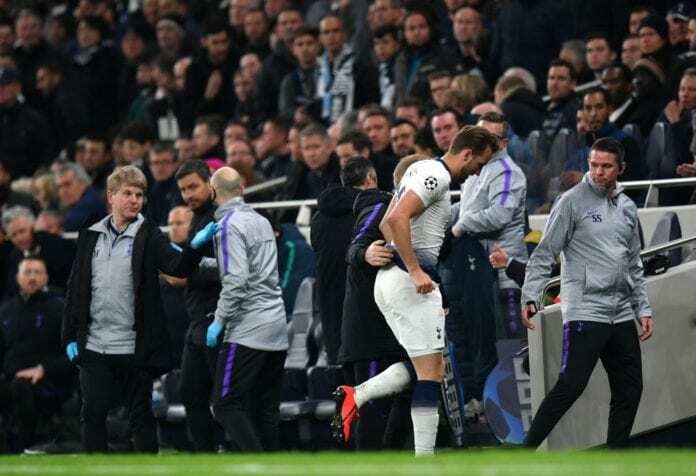 We could see images of Harry Kane leaving Tottenham Hotspur’s stadium with ankle protection and crutches, this is obviously a very bad sign as it means that the player probably sustained ligament damage on the very same left ankle in which he suffered an injury earlier in the season. Should Tottenham Hotspur confirm that Harry Kane’s damage will make him miss the rest of the season, the biggest fears will come from the England National Team and that June game that the Three Lions have to play against the Netherlands. To those who don’t remember, the England National Team has a crucial UEFA Nations League match against the Dutch squad and Harry Kane’s presence is absolutely essential for them during that match. As of right now, there is no striker who can replace the role that the Tottenham Hotspur player has as the captain on his national team and missing this game against Holland would be a huge blow for them. Although we still have to wait for the results on the tests that Kane will undergo, the future doesn’t look as bright as it was before he fell injured. Judging on what we’ve seen so far, Harry Kane can pretty much forget about playing the next leg against Manchester City and he should focus on coming back stronger after he recovers. How important is Harry Kane’s presence for Tottenham Hotspur and the England National Team? Please share your opinion in the comment section down below.